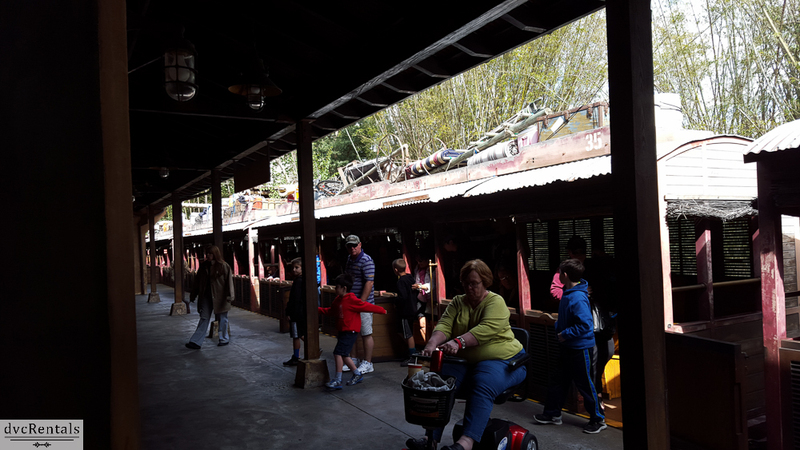 One of Animal Kingdom’s most overlooked attractions is also one of the most fun and interesting experiences found in the park. Rafiki’s Planet Watch has so much to do and see. If you’ve never taken the time to go, I highly recommend giving it a try. 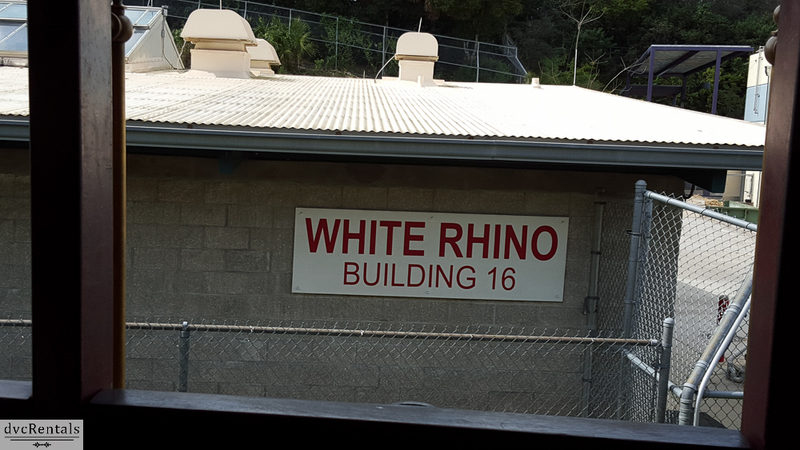 This area was originally called Conservation Station and you will still see signs with that name on it in the area. To reach Planet Watch you must take a train called the “Wildlife Express” from the Africa section of Animal Kingdom. 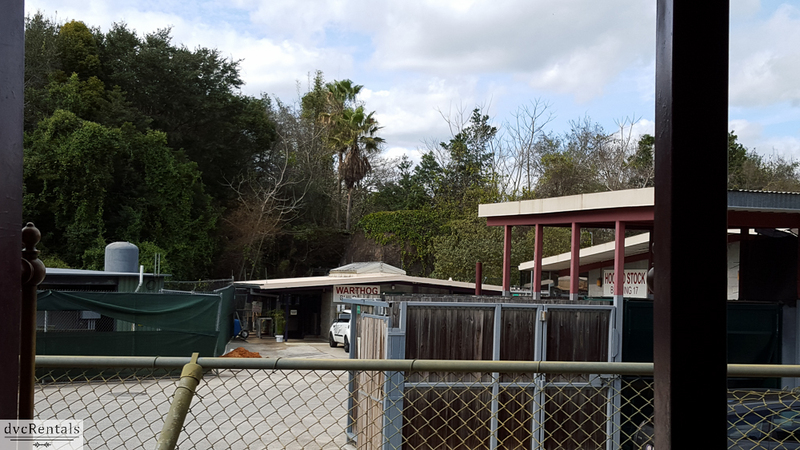 The entrance to the train is just outside of the Kilimanjaro Safaris. The train itself gives the appearance of an old locomotive, all decked out with luggage and other necessities for your “voyage” into the “jungle”. Guests using wheelchairs are permitted to take board without having to get out of their chair, but strollers are not permitted on the train unless they are folded up. If you have a non-folding stroller, you’ll have to leave it at the station and pick it up when you return. The wait for a train is rarely more than five minutes, and the trip takes about five minutes as well. The conductor will point out interesting things along the route, such as shelters where the animals you see on the safari sleep at night. Once you arrive and disembark, there is a short pathway that leads to Planet Watch. 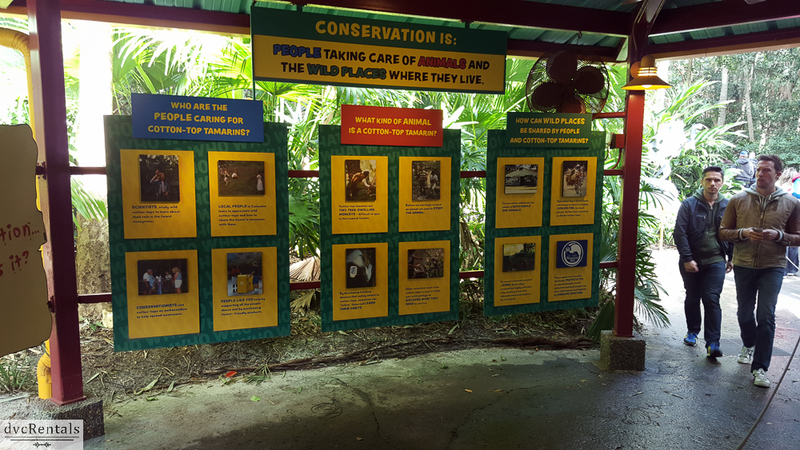 There are many points along the path with pictures, demonstrations and information about conservation and various animal species. Don’t rush past, Disney Cast Members are there to welcome you and educate guests of all ages regarding what you are seeing as you walk by. 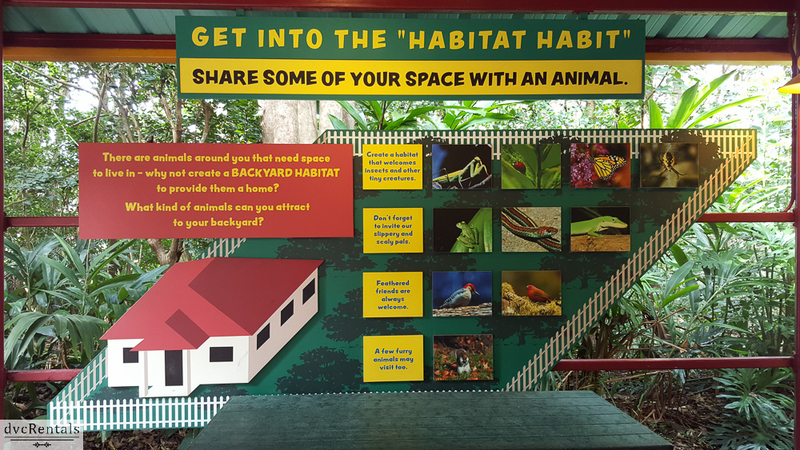 Among other things, you can learn how to make your backyard more attractive to birds and butterflies, and how to help endangered species. 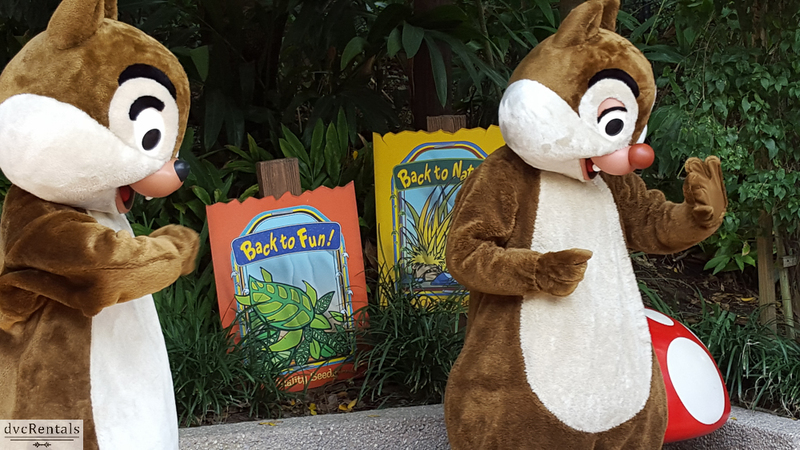 When you arrive at Planet Watch most of the time you will see Chip and Dale outside of the main building. They are always happy to meet you and take pics. The line is rarely long, unlike most of the character meet and greets at Walt Disney World parks. What to do next depends on your family’s interest, as well as the time of day. 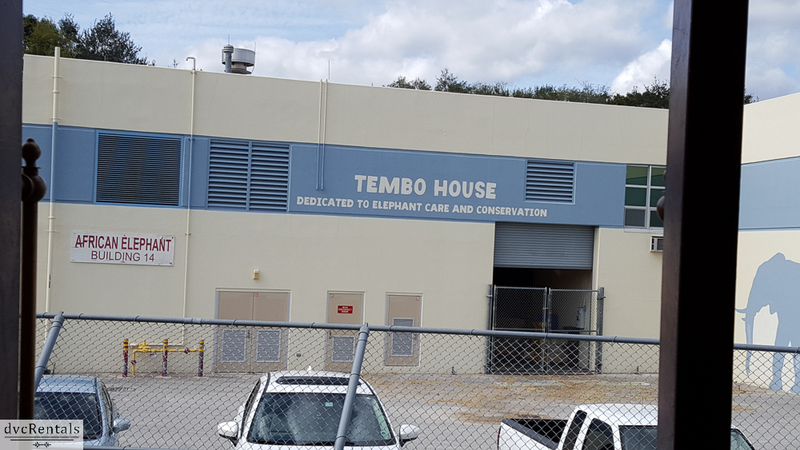 There are a number of things happening here, and I strongly suggest you check out the Animal Kingdom Times Guide as well as asking Cast Members in the area to let you know what’s going on. (Not everything is listed in the Times Guide). 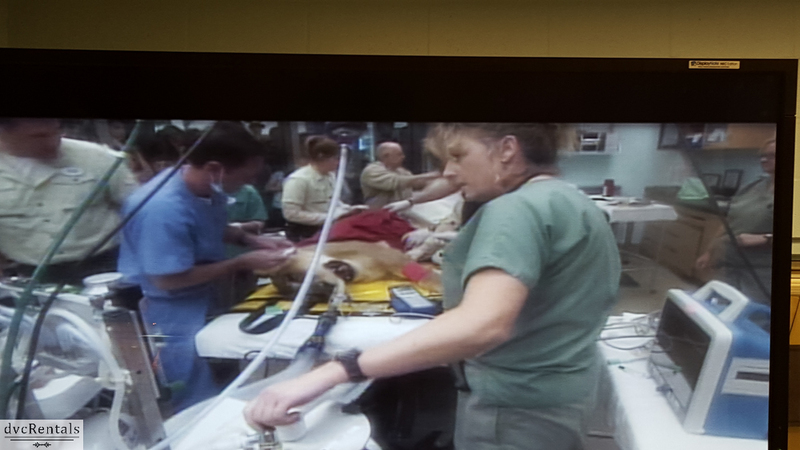 If you like science and aren’t squeamish about seeing veterinary procedures, get to Planet Watch as early as possible. 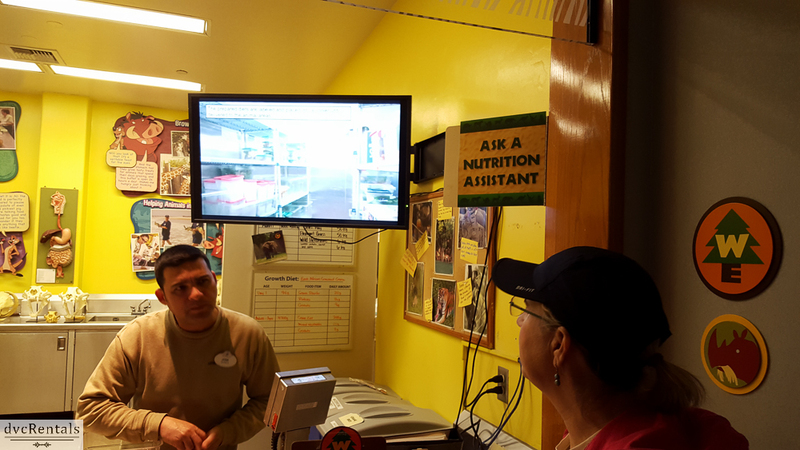 They generally schedule two or three animal procedures which Guests can view from the behind the safety of glass inside the building. Generally, these are done between 9am and 11am. 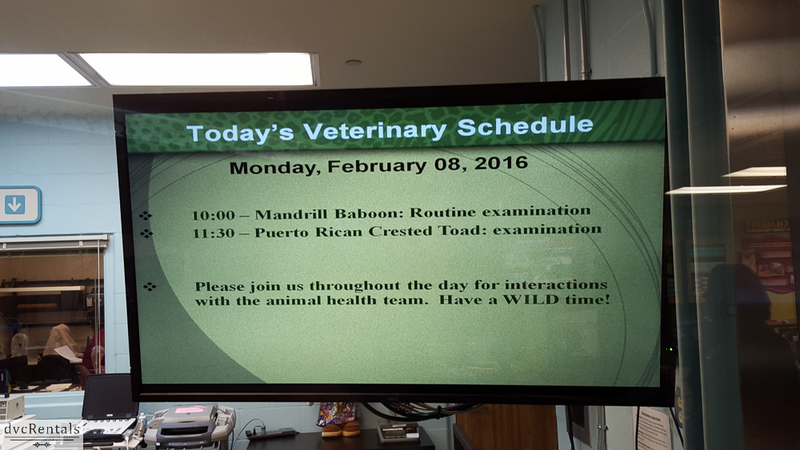 I’ve seen a lion getting dental work and routine exams on goats, baboons and toads. What you see is by the luck of the draw – some are more interesting than others. There are many other things to do inside the building. Although the place is not very large they pack a ton of things into the space they have. There are a number of very interesting exhibits. 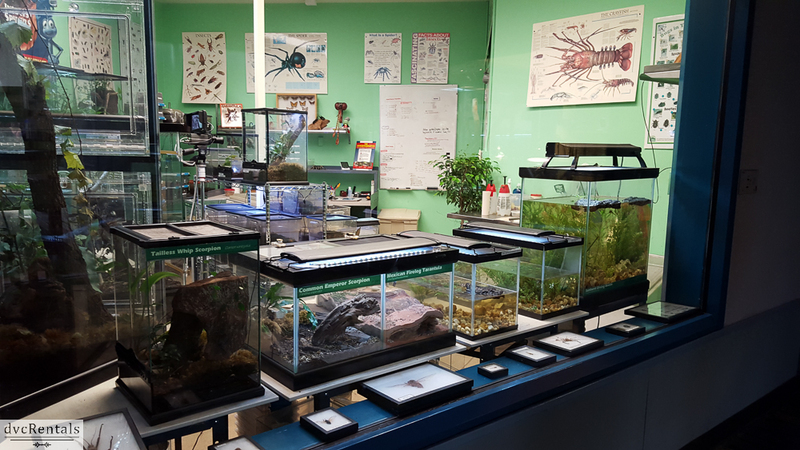 You can learn about amphibians, reptiles, insects and more, with live examples to view and study. You’ll see what they eat, how they avoid predators, the nests they build, sleep habits and more. 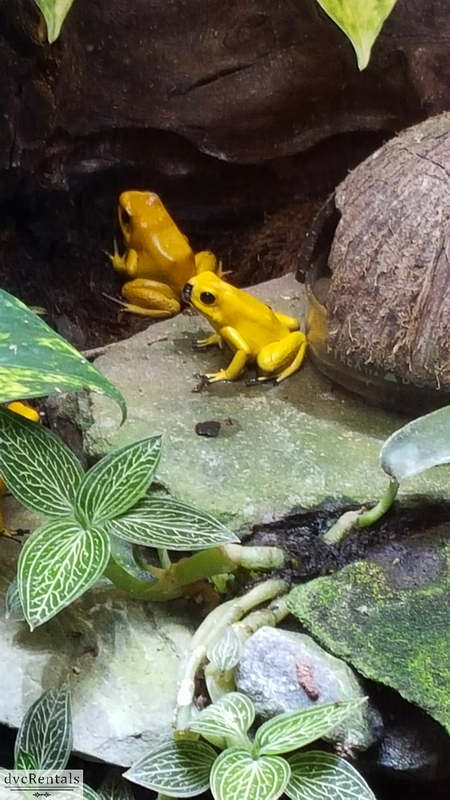 In addition to the live animals there are many excellent photos and other interesting items displayed in these exhibits. But wait—there’s more! 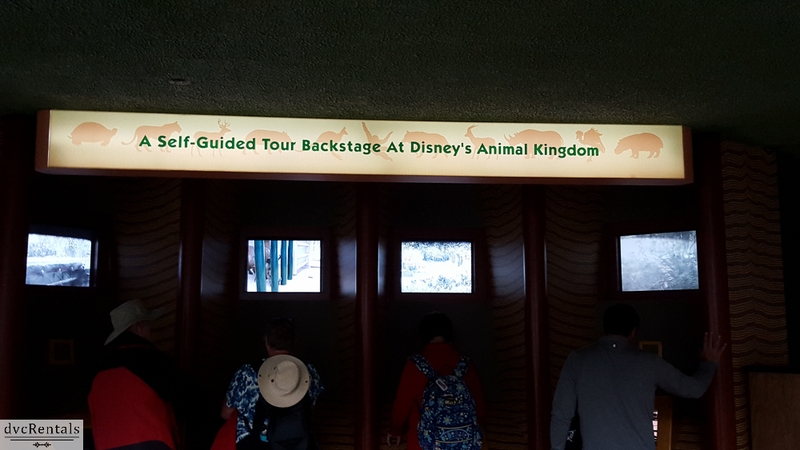 There is a section in the building with animal cams that you can watch – that is referred to as a “self-guided backstage tour” of the animals who live in Animal Kingdom. There are special sound proof booths which you can enter with your family. Inside the booths your party will put on headsets and you’ll hear the sounds of the rainforest, narrated by Grandmother Willow from the Disney film Pocohantas. 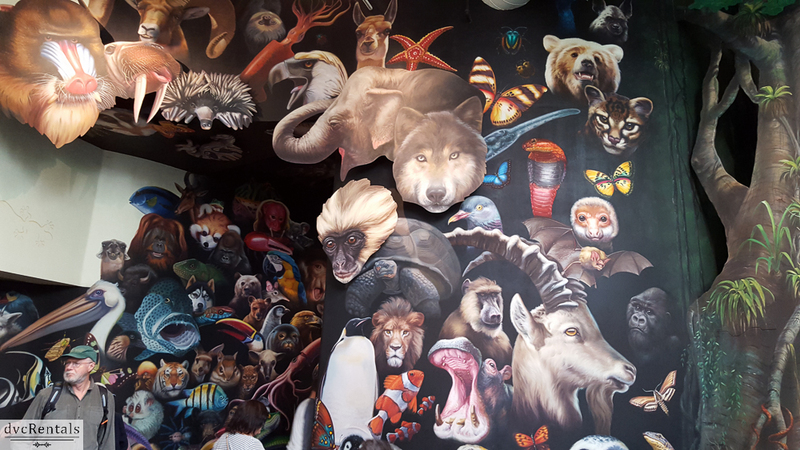 The entire interior of the building is covered with beautiful paintings of wild animals. There is a video playing of an African Safari, with comfortable benches to sit on while you watch. 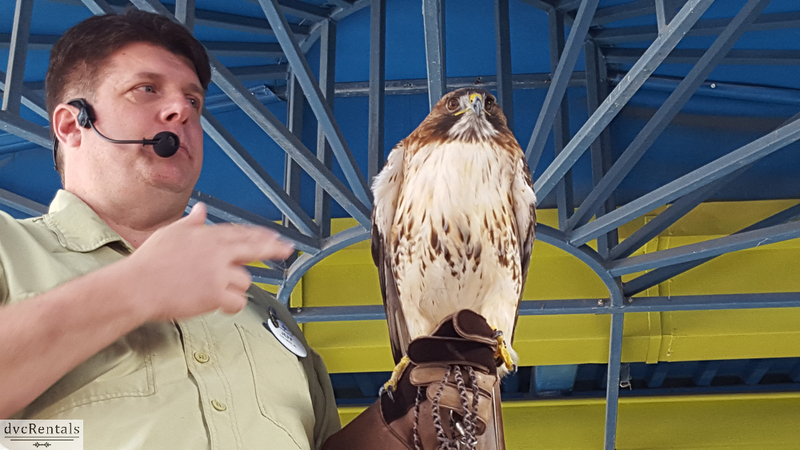 Periodically (ask a Cast Member for specific times) there are live animal demonstrations inside the building as well. 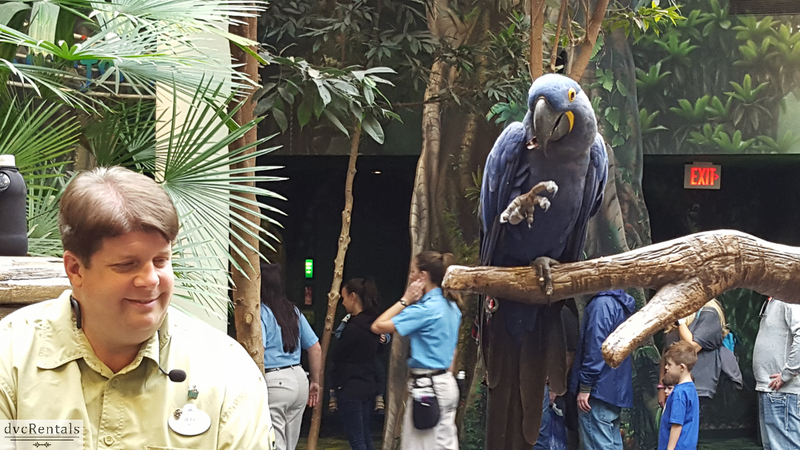 When I visited recently they had a large parrot in the room, and after giving a short talk about it, Guests were invited to ask questions about the bird. Amazingly there is still more to see and do inside the Planet Watch building. There is an exhibit on conservation, with information on what Disney is doing to help, and what you can do to help endangered species. 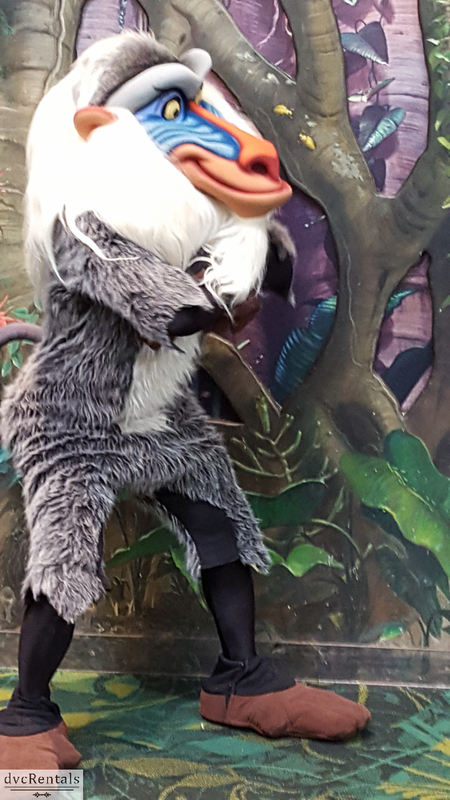 And what would a visit to Rafiki’s Planet Watch be without meeting Rafiki himself? Yes, he’s there in the building, happy to pose with Guests. Again, the line to meet him has always been very short, (although I have to admit to never having been there during Christmas or Easter week!). 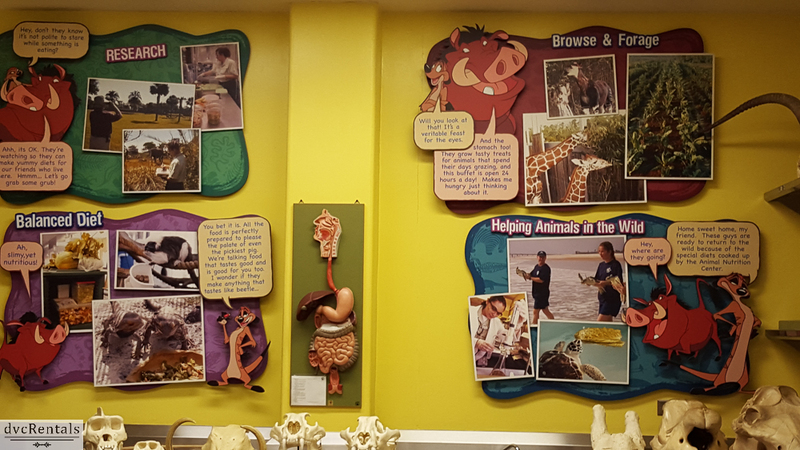 Although the building has exhibits to interest all ages, there are special areas of interest to kids. Cast Members are there to let children touch and learn about plants and animals. 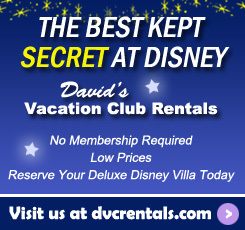 Even the smallest Mouseketeers will most likely find something of interest. However, the outdoor area is the spot most kids will completely relish. 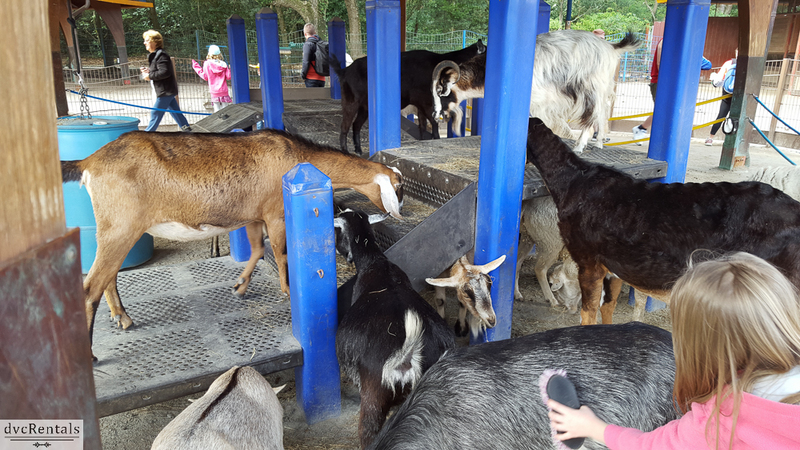 There is a petting zoo, complete with goats, sheep, cows, donkeys and other tame animals for kids to touch. They leave out brushes to enable Guests to brush the sheep and goats. 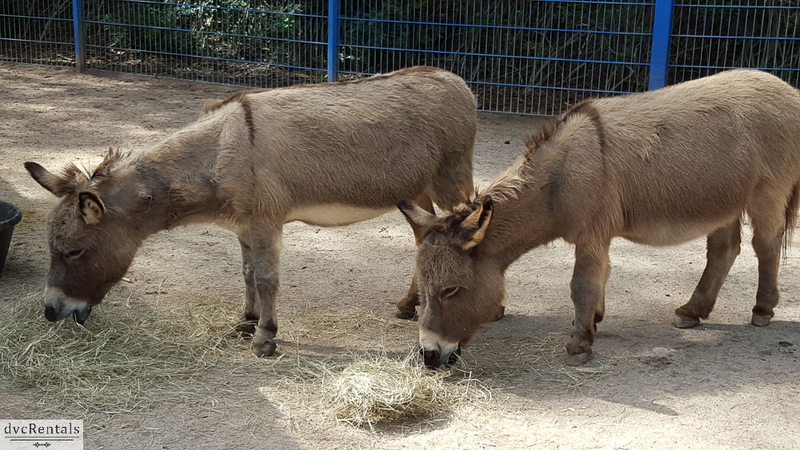 Feeding of the animals is strictly forbidden, but you can get up close and personal with the furry creatures here, and most kids are enthralled. Once you are ready to leave the petting area there is a special area set aside to wash your hands. But we are not done yet! 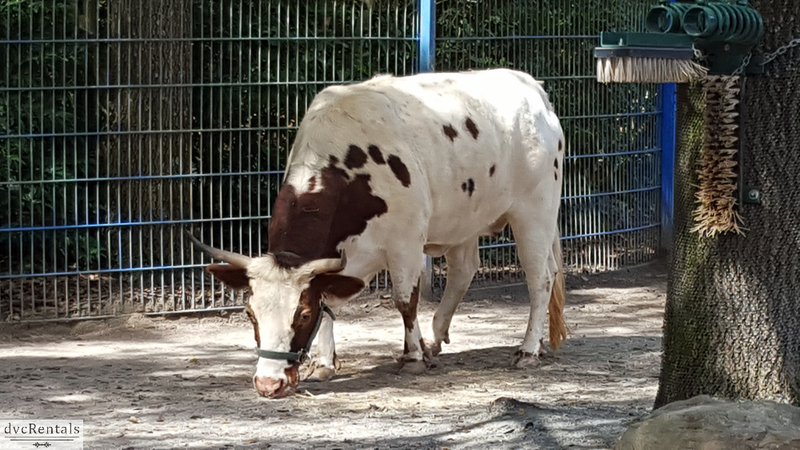 Most days at 11:30, 12:30, 1:30 and 2:30 there are live animal demonstrations outside (check the sign outside the demonstration area to clarify the times, or ask a Cast Member). These demos last about 30 minutes each, and I find them fascinating. 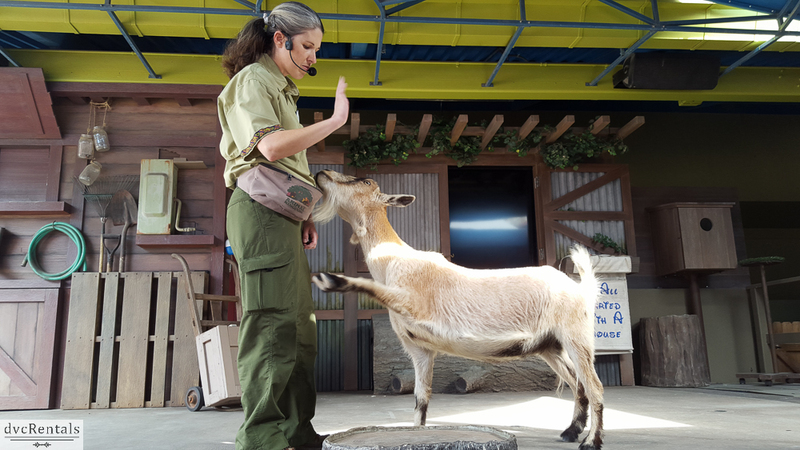 The Cast Member will bring out an animal (I’ve seen snakes, owls, rats, goats) and talk about it and show you tricks the animal has been taught. Often the “tricks” are actually a way to examine the animal and make sure it’s healthy. For example, a goat may be taught to lift its hoof and “shake hands” in order to make sure its feet are in good shape. They are taught with a reward system, never with any pain or negative reinforcement. There is a small gift shop, and restrooms, but there is no restaurant. 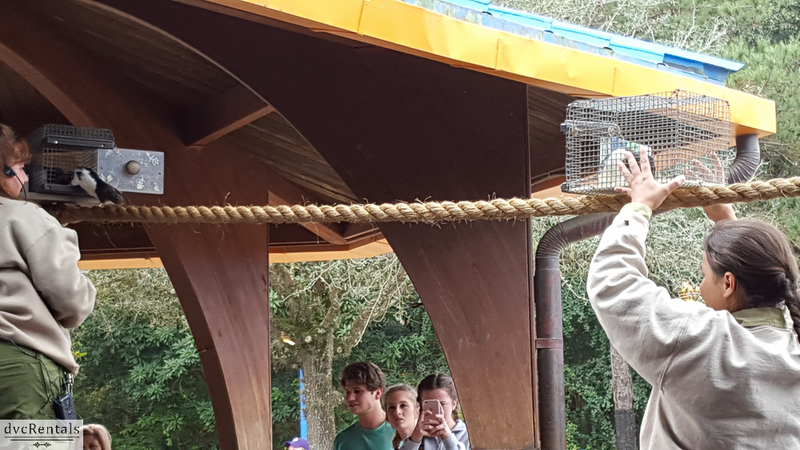 A visit to Rafiki’s Planet Watch can be as long or as short as you care to make it. You can easily spend two hours there if you do everything. What I like best is that it’s just about never crowded and it’s a break from the bright lights and high excitement that makes up most of Walt Disney World. This is a place to relax, enjoy, learn and chill out. It took me many years to realize how cool it is there; I wish I had taken the time to explore it sooner. 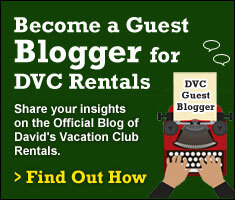 2 thoughts on "A Visit to Rafiki’s Planet Watch at Disney’s Animal Kingdom"
Thank you for the information!! It was closed for a private event when we were there. Sounds wonderful!